Wolf Alice have launched a tour app that’s set up for the band to “engage with fans while on tour.” The full press release can be found below. 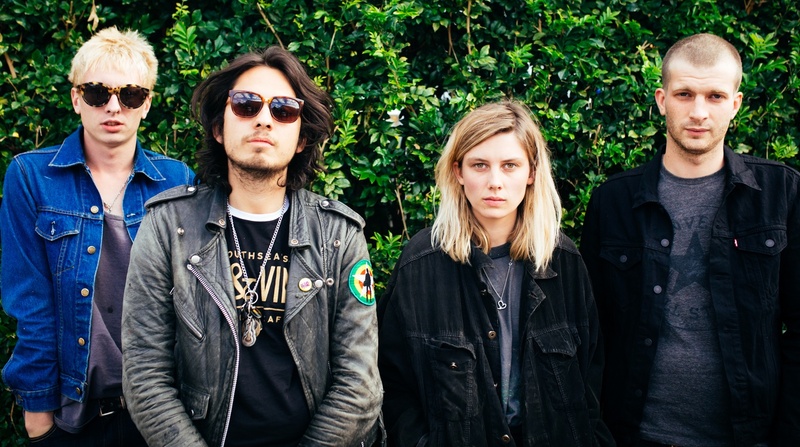 Los Angeles, CA – Today, London rockers, Wolf Alice, announce the launch of their tour app. The free app, which is available now, allows fans to stay engaged while Wolf Alice is on tour. It will include features such as music embedded via Soundcloud, videos via YouTube & VEVO, Spotify playlists of the set lists each night, shareable social media, set times, artists (with information and music)—all within each tour date. The app will also have a “Moments” photo booth feature that will allow fans to remember the night by snapping photos, making postcards, and sharing them online. Wolf Alice is currently on tour in support of The 1975. See full list of tour dates below. Wolf Alice released their debut album entitled My Love Is Cool on June 23rd via Dirty Hit/RCA Records. The album racked up acclaim across the globe with NPR saying, “Wolf Alice is a band (…) whose crunchy, decidedly rock-oriented reinvention is steadfastly unthreatened by a catchy pop melody, a sweet, thoughtful harmony or an earworm bridge and chorus.” They performed their U.S. single “Bros” (VIDEO LINK) on The Late Late Show with James Corden, which aired November 2nd, and the single impacted at Alternative Radio. Wolf Alice was named one of Billboard Magazine’s Artists to Watch in 2015, as well as one of Rolling Stone’s 10 New Artists You Need to Know in the October 2015 issue. The London quartet gave stripped down performances of “Fluffy”, “Turn To Dust”, and “Bros”, on NPR’s Tiny Desk Concert Series (Click HERE) on January 22nd. Additionally, performances of “You’re A Germ”, “Your Loves Whore”, and “Turn To Dust” aired on NBC’s Last Call With Carson Daly on February 22nd. The band’s Ellie Rowsell was recently nominated in the Best Song Musically and Lyrically category at the Ivor Novello Awards. In addition, Wolf Alice was also shortlisted for the prestigious 2015 Mercury Prize, received a 2016 Brit Award Nomination for British Breakthrough Act, and a 2016 GRAMMY Award Nomination for Best Rock Performance of “Moaning Lisa Smile”. Fresh off the heels of their sensational Coachella appearances and now back on the road, there seems to be no stopping this electrifying four piece.